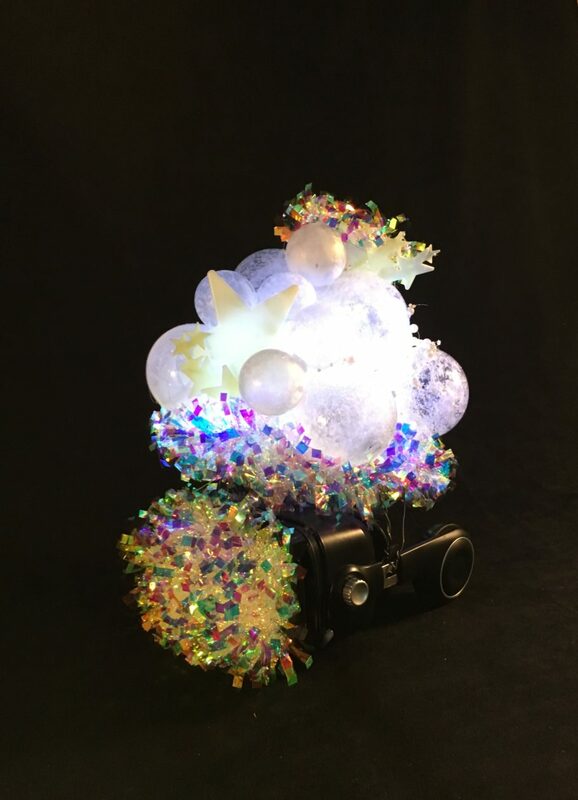 KT Niehoff was selected as one of four artists-in-residence to build an immersive VR installation for the inaugural IMAGINE Festival, presented by Dance Films Association (DFA) and Earthdance Creative Living Project in Massachusetts in Fall 2017. 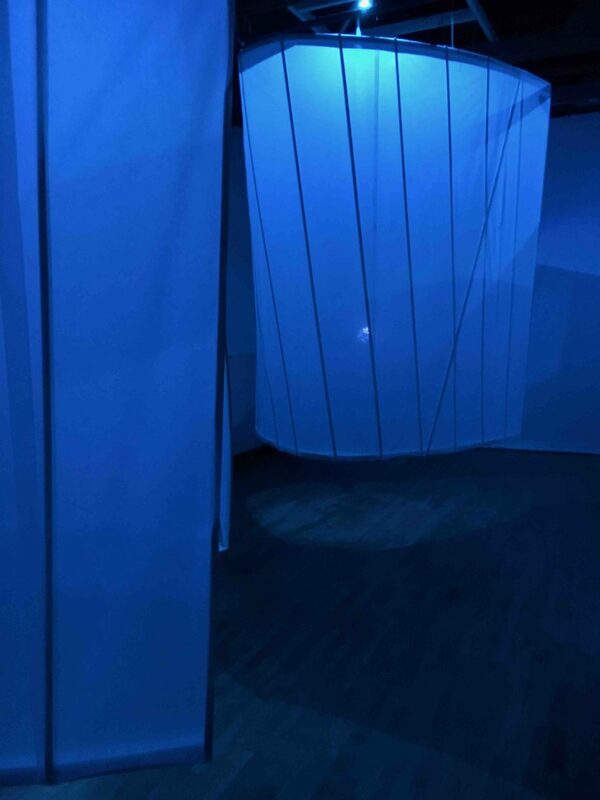 The festival’s setting on the historic Earthdance grounds, a space committed to sustainable community and a center for innovation in somatics and movement, resonated deeply with Niehoff’s history of community activation and her rigorous investigation of the relationships humans have with their bodies. 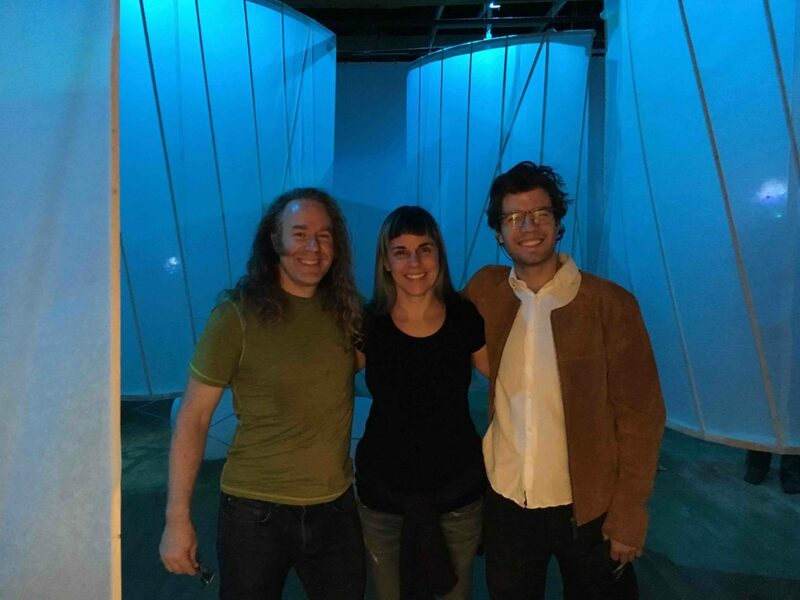 KT and her collaborators—Cameron Irwin and Jacob Fennel—spent the week-long residency interacting with and responding to the Earthdance environment through the lens of Flew Like Clouds. 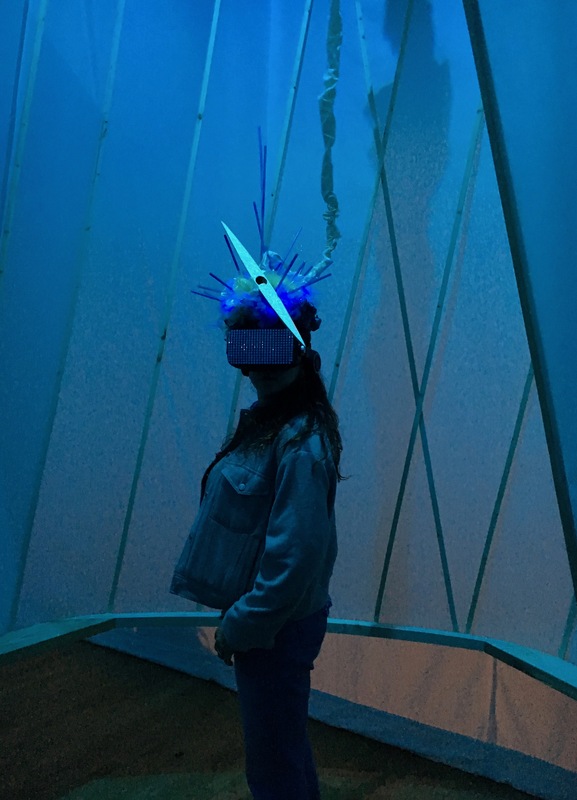 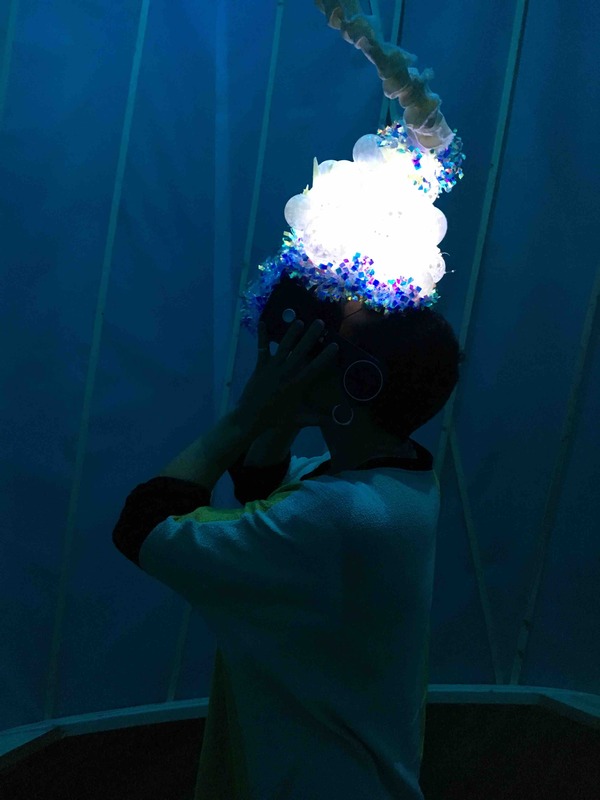 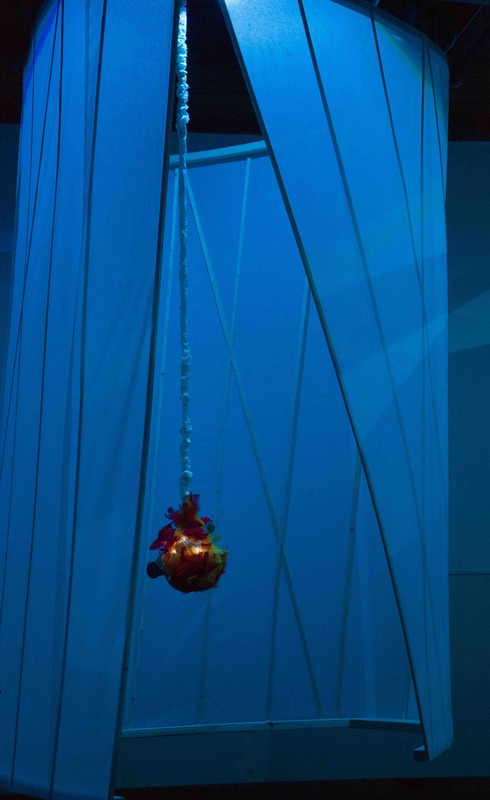 The installation consisted of four sculptural headdresses for the VR headsets which hung on bungees inside floating, circular vessels. 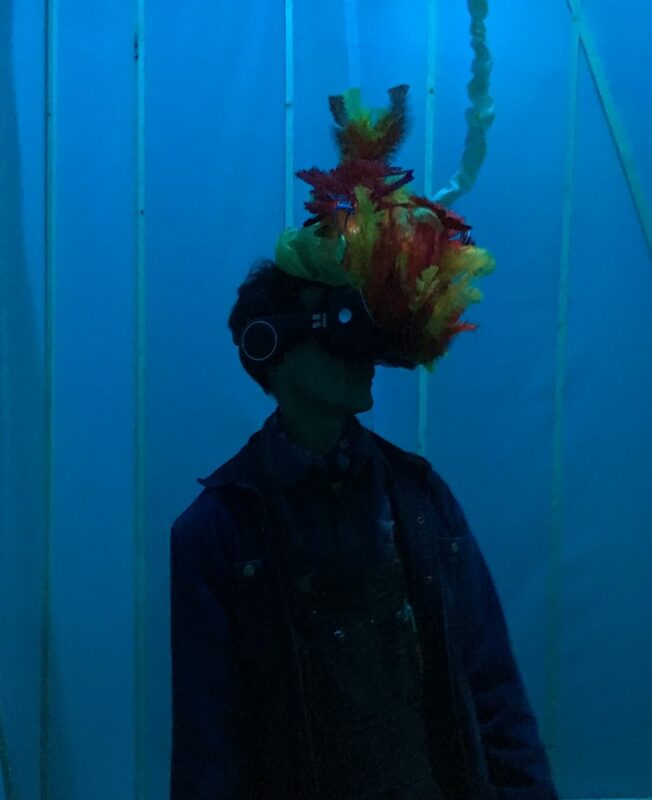 When viewers entered the columnar spaces and put on the headsets, they experienced one of the four VR films. 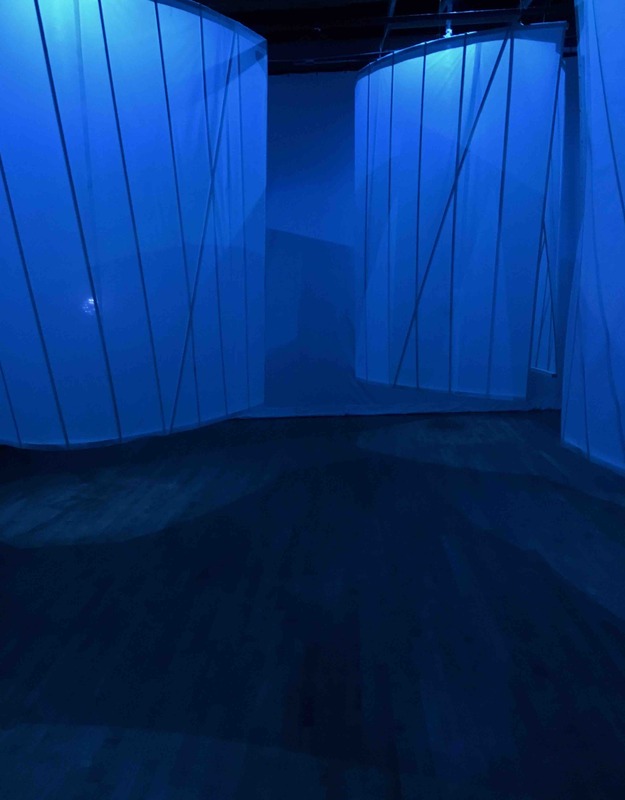 Each film took audiences into the lived experience of the work’s main characters: Soyeon Yi (astronaut), Maurice Hall (in-line speed skater), Shevanthi Daniel (near death experience survivor), and Michael Grady (para-rower). 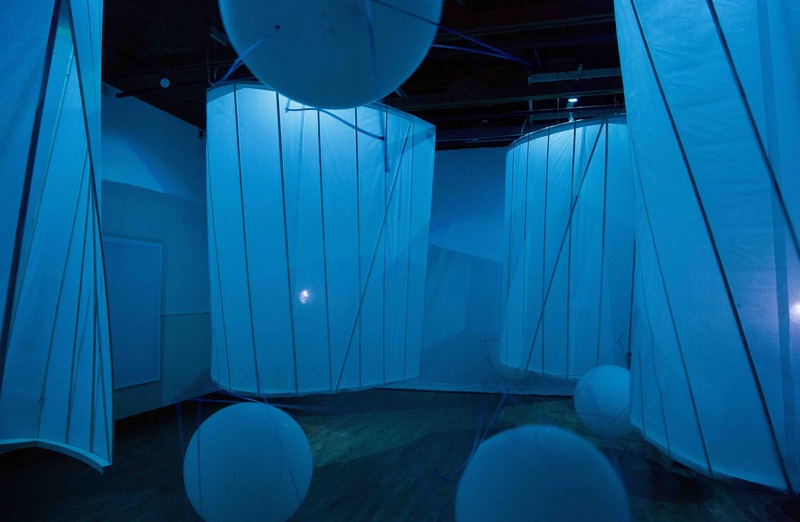 All elements of the installation served to explore the question that propelled Flew Like Clouds: “What is it like to be in your body?” Within the context of the Earthdance community and augmented by the exploration of pioneering new film technology, Niehoff radically deepened the investigation of this question, and expanded the world of Flew Like Clouds.